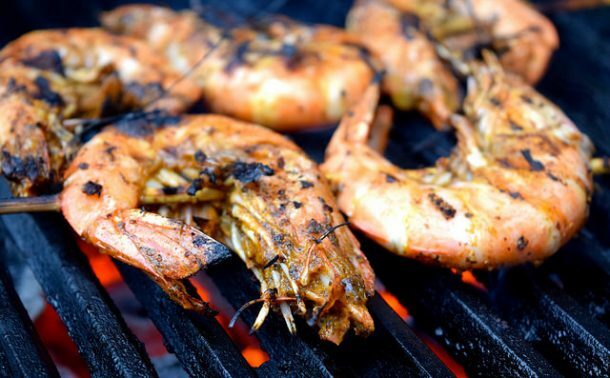 The Notting Hill Carnival at the weekend served as a very sharp reminder that I’ve still not tried my hand at re-creating the simply epic jerk chicken and jerk pork with rice, beans and a cream sauce they serve in the cafeterias in the Houses of Parliament. It is simply fabulous, and has such a cult following that there is even a Twitter feed dedicated to letting you know which cafeteria has it on on any given day. 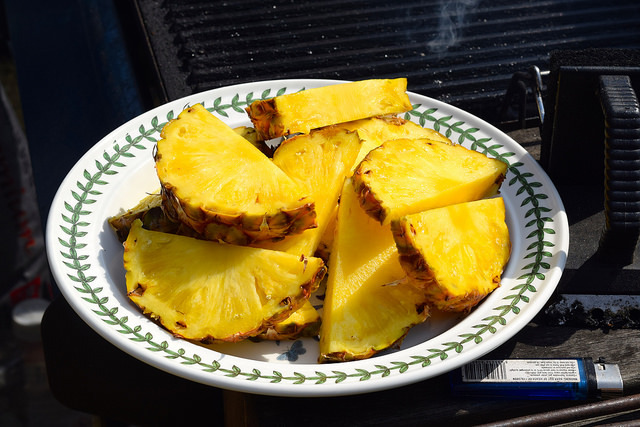 I have a copy of the chef’s recipe to use as guidence, but as it was a Caribbean themed dessert I needed over the Bank Holiday Weekend to follow a barbecue (rather than Jamaican street food) I settled on barbecuing a pineapple instead. 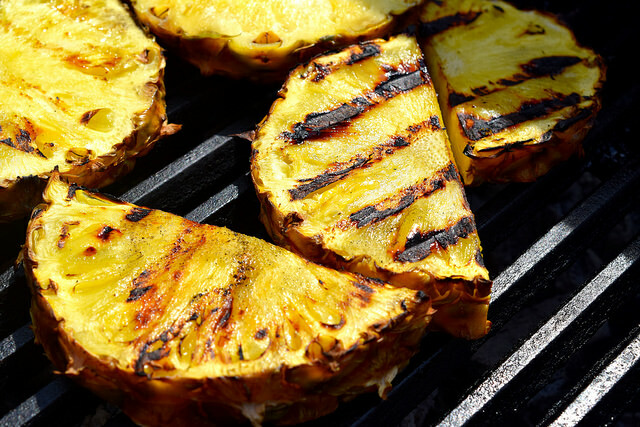 Make the barbecue hot enough so that there is a good amount of fire left to grill some thick pineapple slices while you’re eating whatever you put on first, getting up from the table to turn the pieces over half way through. The garnishes you can make ahead: finely chopped chilli (just to add a little bit of heat), fresh coriander leaves for colour and interest (and because I’m just obsessed with the flavour) and a rum infused simple syrup both to cut through the sharpness of the pineapple, and to inject a little bit of the Caribbean. 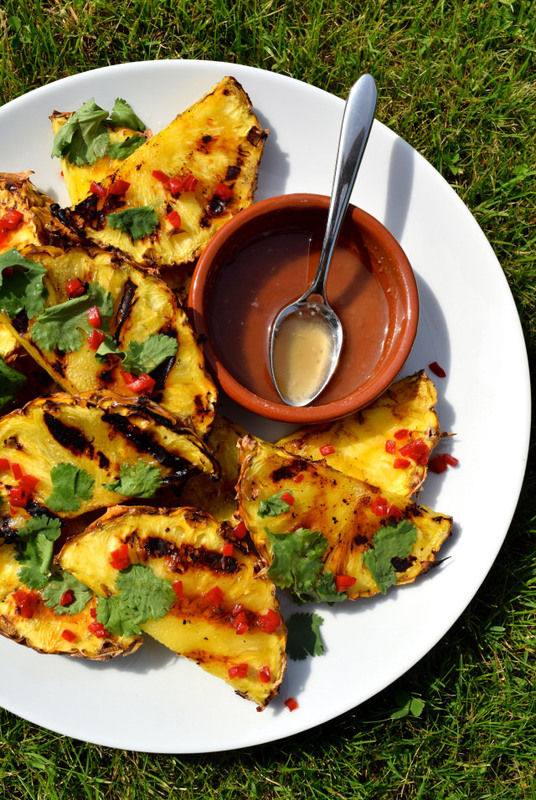 I’ve been putting Aluna’s Coconut Rum in everything at the moment so that is what I used here. The coconut really boosts the flavour, but if you don’t have any/ can’t find it any dark or spiced rum will do. 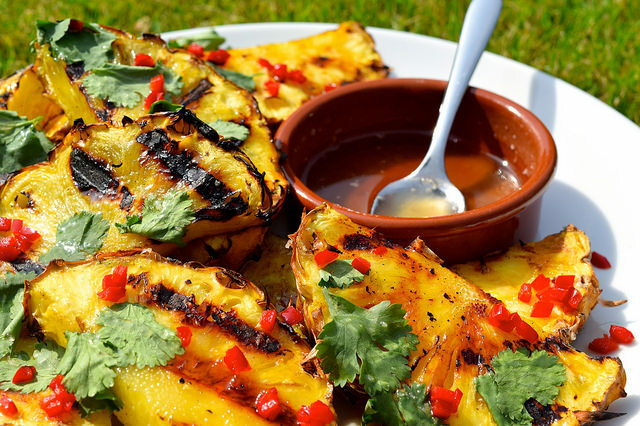 A small to medium ripe pineapple should feed 6-8 people. While I just like to serve up a platter of slices for everyone to dig in, you can also dish it up with scoops of vanilla bean or coconut ice cream. 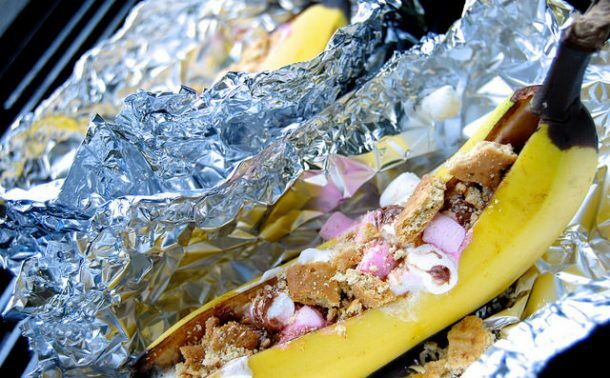 This is the dessert you need if we (fingers crossed!) get to enjoy another Indian summer this September! 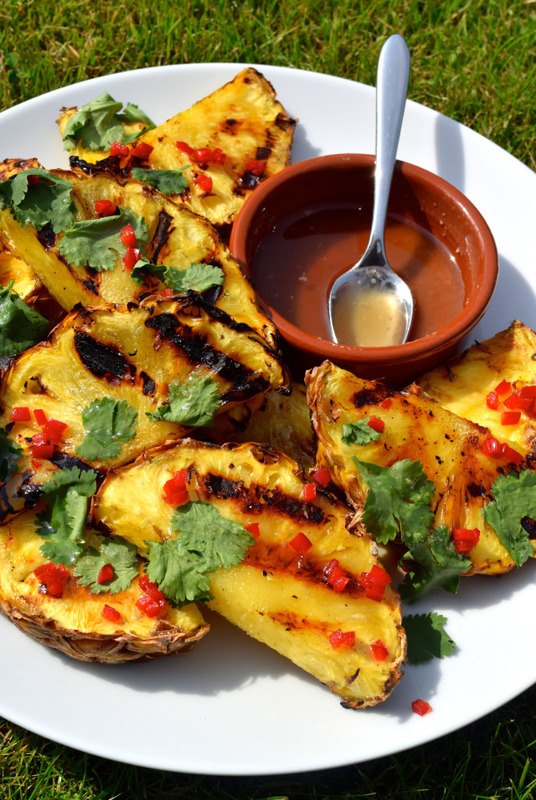 Pineapple comes to live when it is cooked on the barbecue, and in this recipe it has been taken to the next level with chilli, coriander and a coconut rum drizzle. In a small saucepan over a low heat stir the sugar and water together until the sugar is completely dissolved. Remove from the heat and allow to cool. 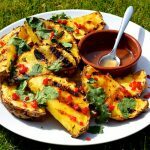 Meanwhile, prepare the chilli and top, tail and slice the pineapple into thick slices. Stir the rum into the cool sugar syrup until it is completely combined. 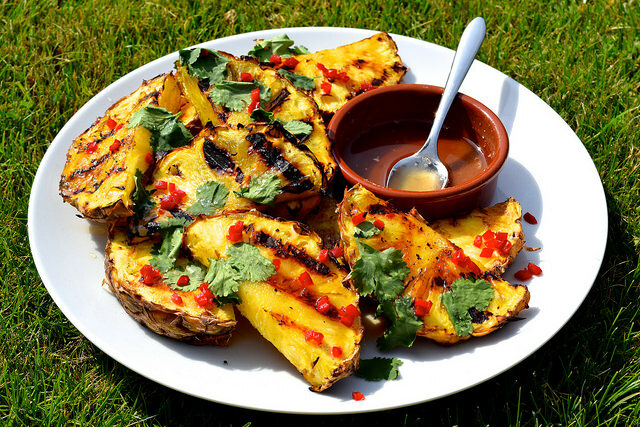 Barbecue the pineapple slices until you get good, caramalised lines on each side, and serve piled onto a warm plate with the coriander and chilli sprinkled over and a very generous drizzle of the rum syrup. 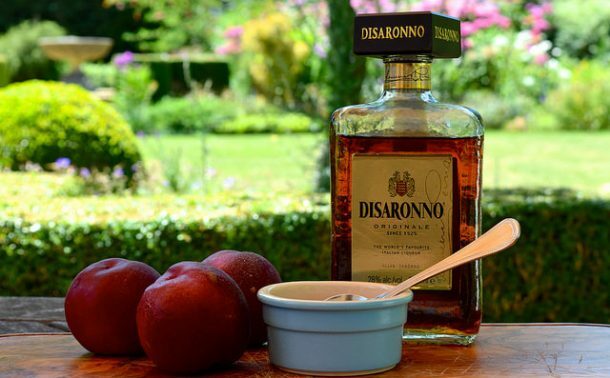 For more Indian summer barbecue dessert inspiration why not make some Roasted Nectarines with Amaretto and Vanilla Ice Cream or my S’mores Barbecue Bananas? This is a sponsored post. To read my policy on sponsored posts, please click here. This post is in conjunction with Rennie but all thoughts are my own.